First, a little quick background info for those who are not familiar with American history. America started out as 13 colonies, each independent of each other but all governed by England. Serious political disputes with England over several decades culminated in a Declaration of Independence from England by the Second Continental Congress (the body formed by the colonies to coordinate their efforts) in 1776. An armed conflict, the American Revolutionary War had started in 1775 and would not formally end until 1783. Also, the Continental Congress urged the colonies to create their own state constitutions, because there was an absence of government, since British law was no longer recognized. The Continental Congress asked Thomas Jefferson to prepare a draft for a United States Declaration of Independence for the new country. 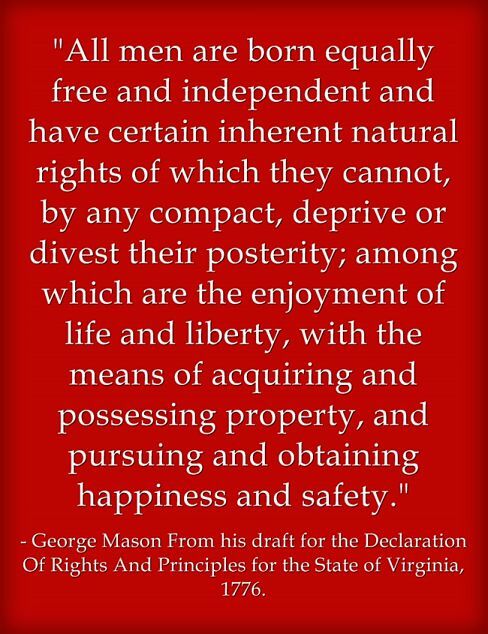 The Virginia Convention asked George Mason “to draft a declaration of rights and principles of government for Virginia”. Mason’s draft was reviewed and approved by a small committee at the Virginia Convention. The draft was then “circulated among the delegates in preparation for a discussion that began on May 29, 1776. It was made public and circulated so widely through the colonies that it became the model for several state constitutions”. George Mason’s draft was not popular at the Virginia Convention. The specific wording “all men are born equally free and independent and have certain inherent natural rights of which they cannot, by any compact, deprive or divest their posterity” was a direct threat to the institution of slavery and so was revised at the Virginia Convention. Thomas Jefferson, a native of Virginia, followed the developments at the Virginia Convention closely since George Mason’s draft preceded Jefferson’s efforts. The political genius of Thomas Jefferson was such that he was able to transform George Mason’s language into a form that was acceptable to the southern slave holding states (slavery was still legal in all 13 colonies by the way). All men are created equal replaced “all men are born equally free and independent”. 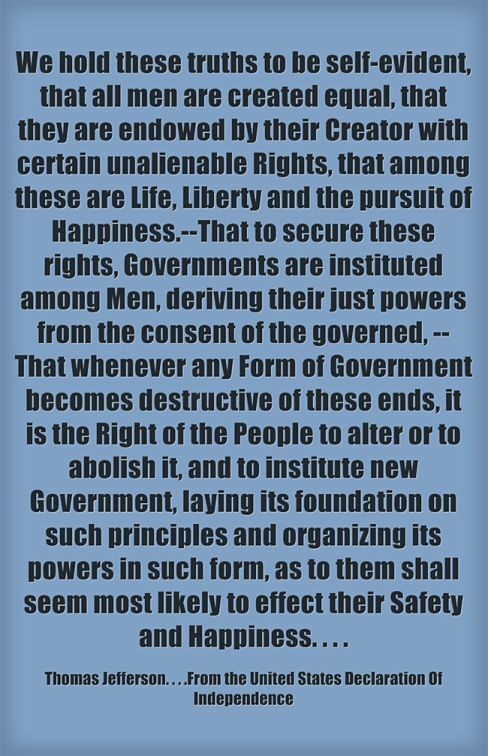 George Mason’s “inherent natural rights” became transformed by Thomas Jefferson so that “the unalienable Rights” came not from birth but were “endowed by their Creator”. The Declaration of Independence was officially adopted by the Second Continental Congress on July 4, 1776, so that date is recognized as the birth of our nation, and July 4th is a national holiday known as Independence Day. A fascinating analysis of the creation of the Declaration Of Independence is available within the outstanding scholarly work, Slave Nation by Alfred W. Blumrosen and Ruth G. Blumrosen. What Foreign Country Played A Crucial Role In America Gaining Its Independence?